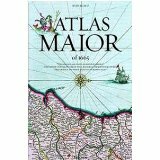 For anyone who, like me, is fascinated by maps and atlases, and cartography in general, this book is utterly fascinating. In short, since the collapse of the Soviet Union, the full extent of its in-depth cartography has been revealed: astonishingly detailed maps of many countries, often with far more detail than official maps made by those countries themselves. Maps are often very large-scale, with specific buildings labelled, width and construction of roads, railways and bridges noted, and lots more. All of this in a well-produced volume, copiously illustrated with examples, and a carefully-written text analysing the history and development of Soviet cartography. Much of the mapping was highly secret and reserved for military use only; bowdlerised versions of maps of the Soviet Union itself were made available for civilian use where necessary. This is no surprise: all countries do this, including the UK, whose official Ordnance Survey maps have blank spaces where strategic military assets are located, as proved by comparison with Soviet mapping in this very book. It’s the extent, the detail that astonishes about the Soviet enterprise. This huge enterprise got me thinking, and my conclusion is surely blindingly obvious: the Cyrillic alphabet. Think about it. When the Nazis invaded Poland – to take one example – they used Polish maps from the country’s Army Geographical Institute, often overprinted in German with the legend ‘only for service use’. And that’s all they needed to do, for whatever country they invaded, except the Soviet Union. For if a map and its legend is in the Roman alphabet, then the place names are instantly legible, and all you need is a translation of the legend. This doesn’t work if you’re a Russian: all those maps, all those place names are in an alien alphabet; if you tried to overprint everything on a Western map, you’d have an illegible piece of paper. So you start from scratch, using all available Western maps and your spy network and aerial and satellite photography and you re-create all those maps, in the Cyrillic alphabet, with names phonetically transliterated so that your one day invading or occupying troops know where they are… a colossal enterprise but achievable with the resources of the state behind it. And you do it properly, thoroughly. Surely the US military have done something similar with mapping of Russia. A wonderful book. And perhaps I got rather more from looking at the gorgeous maps than the average Western reader in that, although I cannot understand Russian, I can ‘read’ i.e. transliterate it. If you’re a regular reader, you will know of my fascination with maps and atlases. I aksed for an atlas for Christmas when I was seven, and haven’t looked back; as soon as I could afford one, I had a copy of the massive Times Atlas. But I have been going back in time with Joan Blaeu’s Atlas Major. Maps from that time are quite different from those we know today. They are very colourful, decorated with engravings of all kinds: native costumes, coats of arms of local rulers, impressive buildings in local towns, flora and fauna adorn the edges of most of the maps. Great attention is paid to delineation of borders: whose land is it? Mountains, rivers – and obviously bridges – are marked, as are placenames; totally absent is what we probably find most important and useful nowadays, the transport infrastructure, because there wasn’t one. Not even roads are marked; I suppose the assumption was that there would be roads between places and if you were actually in a place, then you’d find the necessary road.